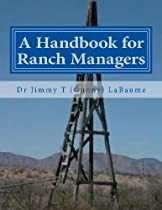 Put the land first… and everything else will follow | Land & Livestock International, Inc.
Posted on December 4, 2018	by Land & Livestock Interntional, Inc.
With this setup their target for production was raised from 60,000 pounds per acre to between 120,000 and 160,000… In three years, Harper says, they have managed to increase annual beef production off the same 130 acres by 9,000 pounds with little-to-no extra work. When Brian Harper first witnessed high stock density or “mob” grazing, his reaction was “there is no way I am moving cattle two to three times a day.”Yet the beneficial impact on the land from this approach ultimately convinced Harper that it could fit into their operation.He had already seen an improvement when moving from continuous to rotational grazing. “Some of it was by accident in places where we had gathered cattle in a small space for a short time and then left it. The response of the grass was significant,” he recalls. 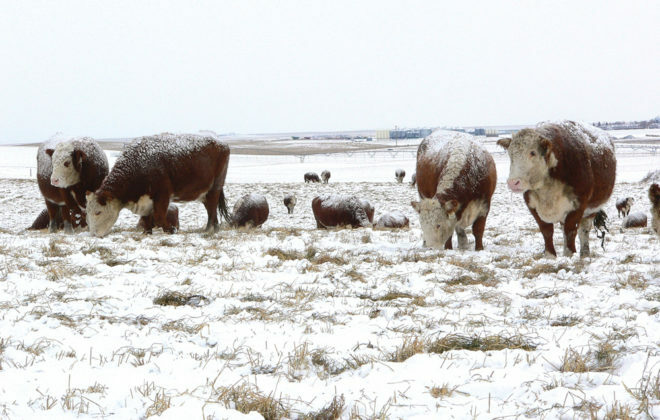 Their management philosophy based on improving the land led the Harpers to recently being awarded The Environment Sustainability Award (TESA) by the Canadian Cattlemen’s Association at the Canadian Beef Industry Conference in London, Ont. 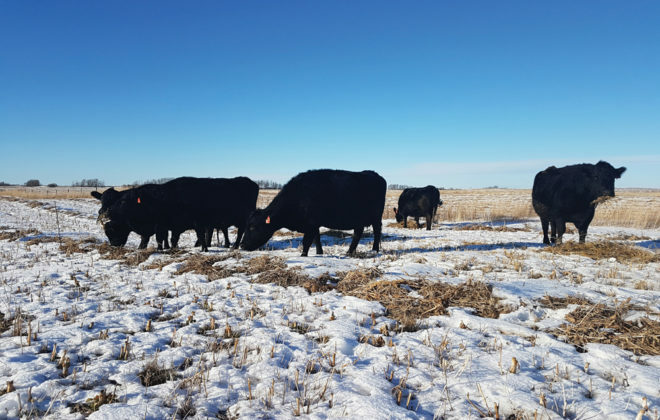 Since the mid-’90s Brian and Sonja Harper, and children Thomas and Kristelle, have operated a perennial forage/rotational grazing system on their 500-acre operation in southwestern Manitoba, just outside of Brandon. The soil is light sandy/clay/loam. Along with the grazing strategy they had added water with offsite troughs and pipelines to better utilize the forage and planted over 5,000 trees. The objective was to keep the cattle on the land as long as possible. In 2014 the Harpers had the opportunity to participate in a Commission for Environmental Co-operation (CEC), Ducks Unlimited, and Manitoba Forage and Grasslands Association project with Michael Thiele, grazing club co-ordinator. Neil Dennis from Wawota, Sask., was assigned as their mentor. Under his guidance the Harpers intensified their adaptive grazing, gathering benchmark data and monitoring their results. The goal was to focus on soil health. The initial rotational grazing setup consisted of 16 eight-acre paddocks that the cattle moved through on four-day intervals. Using temporary poly wire fences, paddocks were further subdivided into one-acre parcels for a total number of 112 paddocks. With this setup their target for production was raised from 60,000 pounds per acre to between 120,000 and 160,000. “With management of time and use of animal/stock density as a tool we are improving the water and nutrient cycles on our soils,” explains Harper. They use a short graze of a few hours to a day followed by a 60- to 100-day recovery. Their aim is to graze about 50 per cent of the forage and have the cattle trample the remainder as cover and food for the soil. The deeper roots grown during a long recovery provide water infiltration into the soil profile resulting in less rainfall running off. “It is not about how much rainfall we receive, but how much can we retain,” says Harper. Deeper roots also exude sugars into the soil providing the biological life forms with what they need to exist, he adds. They monitor the quality of the grass using a portable refractometer to take Brix measurements and noticed an improvement almost immediately. The Brix level indicates the amount of sugars in the plant. In three years, Harper says, they have managed to increase annual beef production off the same 130 acres by 9,000 pounds with little-to-no extra work. They use automatic solar-powered Batt Latch gates that open at a pre-set time without anyone needing to be on hand. Michael Thiele says the results the Harpers have achieved are impressive. They have increased soil carbon sequestration at a rate of 7.5 tons/acre/year and increased the level of beneficial bacteria and fungi, thus improving the ratio of fungi to bacteria in the soil. 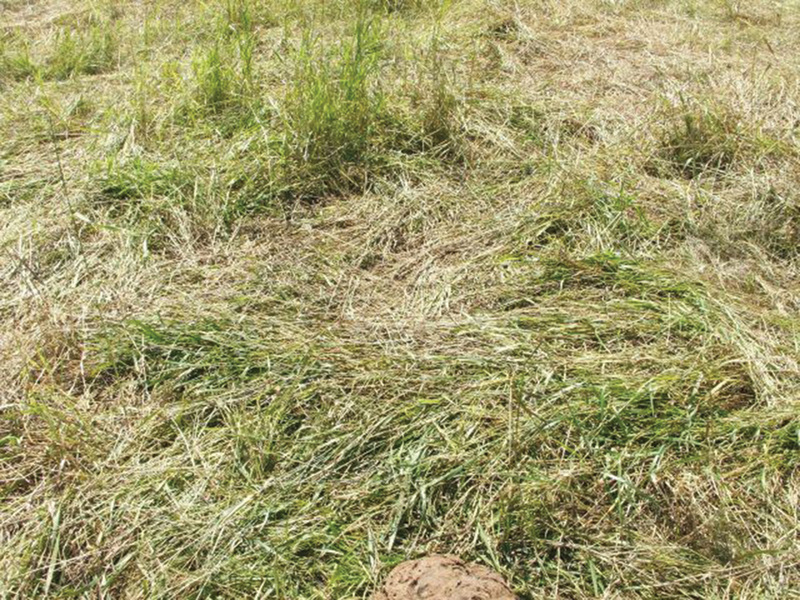 They increased the soil mineralization of nitrogen and phosphorus, and as a result, increased the amount and quality of the forage production. This in turn, produced more beef per acre and increased their profit level, all while improving the wildlife habitat on their farm. One bird study showed almost two times more species of birds and a five-fold increase in the bird population. Harper’s 80-cow herd contains Devon, Lincoln Red and Shaver Beefblend genetics, three breeds with grass finishing genetics. He stresses the importance of the right type of genetics for their program. They market forage based breeding stock and are starting to market grass-finished beef direct to consumers. Their daughter Kristelle heads up the marketing side of this enterprise. Bale grazing is their winter feeding strategy, moving the fence to give the cattle new feed every 21 days. Harper likes bale grazing because he feels that in addition to giving him more time for the things that matter during the winter, it also improves the land by working some litter, manure and urine back into the land. The Harpers recently began incorporating cover crops into land regeneration management by inter-seeding into their pastures using a John Deere 1590 conservation drill. The seeding follows severe grazing at the beginning of the growing season to put some stress on the perennials and allow for establishment of the annuals which are seeded in the middle of June. Due to extreme dry conditions this year the results have not been what they had hoped but they want to continue trying. Harper thinks a mix of oats and peas at a rate of 70 pounds per acre would be sufficient even though they used more species this year. 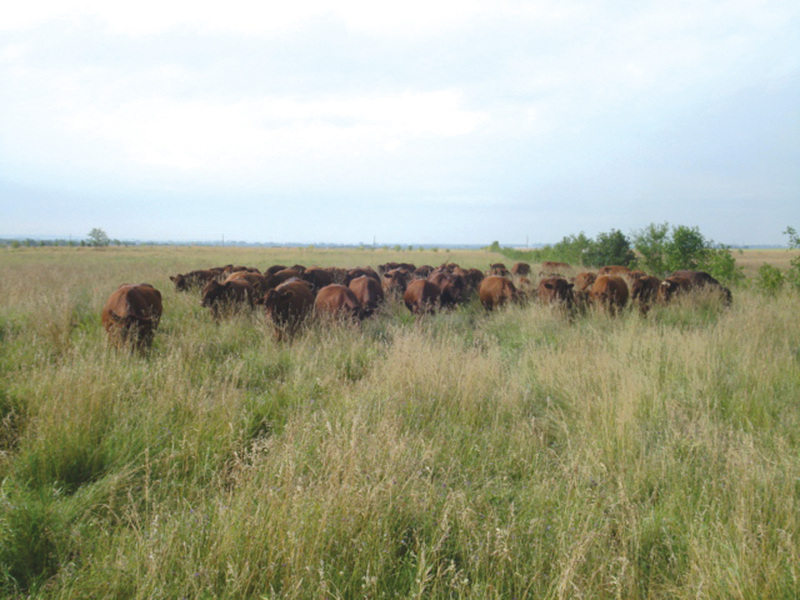 This strategy provides options of grazing or harvesting a crop and enhances plant diversity. The results speak for themselves and Harper is excited about the prospects of not only improving but also building the soil. “We can build soil quicker from beneath than we can on top. Building organic matter is actually the decaying of biology below the soil surface. Feed the soil and everything gets better. The environmental goal at Circle H is to continue building up the resilience of the land by increasing the amount of soil organic matter and improving nutrient and water cycles. “This is the tip of the iceberg of land regeneration,” Harper adds. Call for a pizza, a cop, and an ambulance and see which one arrives first. In Warren v. District of Columbia the court ruled, and the Supreme Court upheld, that “(T)he desire for condemnation cannot satisfy the need for a special relationship out of which a duty to specify persons arises.” Because the complaint did not allege a relationship “beyond that found in general police responses to crimes,” the court affirmed the dismissal of the complaint for failure to state a claim. The bottom line is that your local police are not legally obligated to protect you, the average citizen. In addition to the Warren case, there are hundreds of court rulings which state that cops are not legally responsible for protecting individual citizens. For example, see Zelig v. County of Los Angeles. 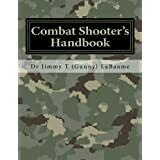 The government can’t protect you as you saw on September 11, 2001 as well as during the Washington, DC area “sniper” rampage and the plethora of active shooter events that we have had since. In fact, the government could very well be our greatest fear, due to its propensity to murder people because of their ideas (See Ruby Ridge, ID and Waco, TX). A simple internet or youtube.com search of “the police state” or “police brutality” will reveal literally thousands of violent crimes (from assault to cold blooded murder) committed by the State’s costumed emissaries of officially sanctioned violence (aka The Police State) against harmless and innocent people. So, who does that leave to protect you, your life, property and family? The one and only answer is: YOU It is your duty and personal responsibility to protect yourself and your loved ones. This responsibility is a natural right given to us by God as human beings and guaranteed to us as individuals by the Constitution of the United States of America. Options for Homeland Defense, Inc. offers professional weapons and tactics training that will make the difference. Instructed by experienced combat veterans—guys that have “been there and done that.” It offers private instruction at its privately owned range and mobile training teams are available. All interactions are confidential and discrete. This entry was posted in Planned Grazing, Uncategorized and tagged mob grazing, planned grazing. Bookmark the permalink.